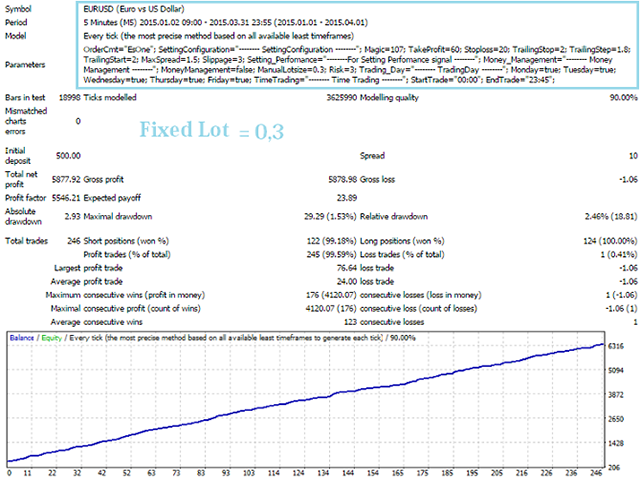 Es One Scalper is a fully automated Expert Advisor. This Expert Adviser trades on all timeframes. 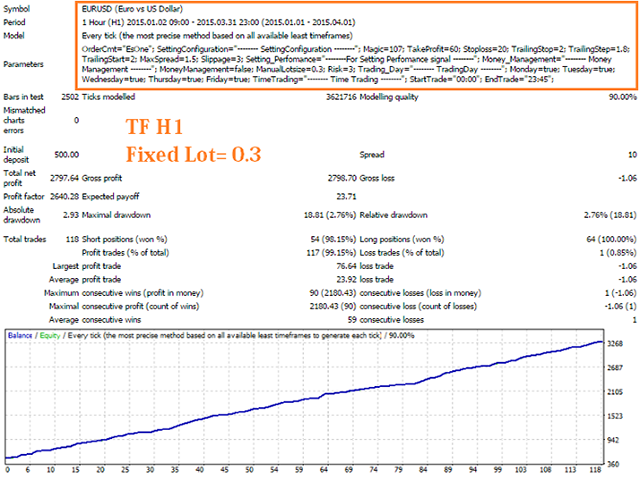 The system is ready-to-use after simple optimization on Take Profit, Stop Loss, and Trailing. I recommend using VPS and a reputable ECN good broker with a low spread, low stop level and fast order execution for better trading results. Magic = 107 - magic number to identify the order's mode for the EA. TakeProfit =60- set maximum Stop Loss in pips. Stoploss = 20 - set maximum Stop Loss in pips. TrailingStop = 2 - set maximum distance (in pips) to trail an open position. TrailingStep = 1.8 - set maximum trailing step in pips. TrailingStart = 2 - set maximum trailing start in pips. MoneyManagement = true - set true, enable auto lot money management. If false, ManualLotsize (fixed) is used. ManualLotsize = 0.01 - set a manual lot size.